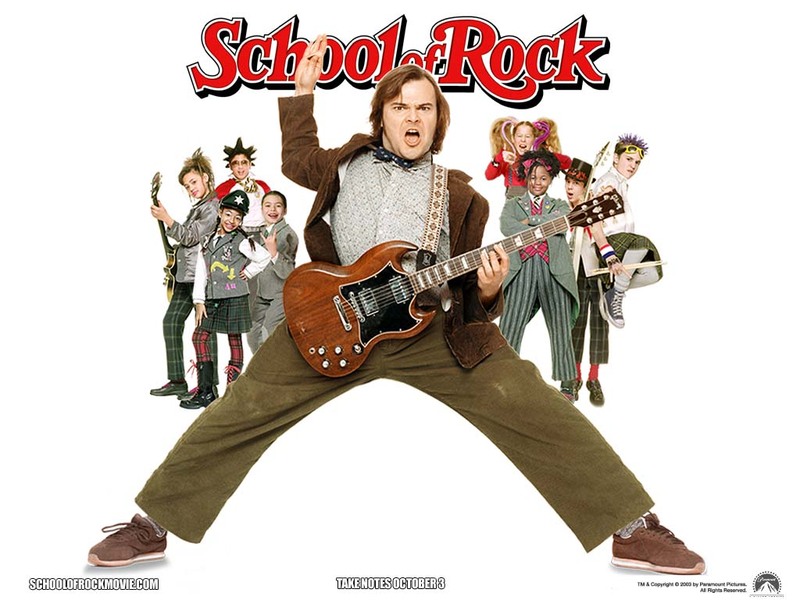 School of Rock (2003) is one of my favorite music movies, and was on my previously published list of 30 Music Movies You Need to See Right Now. 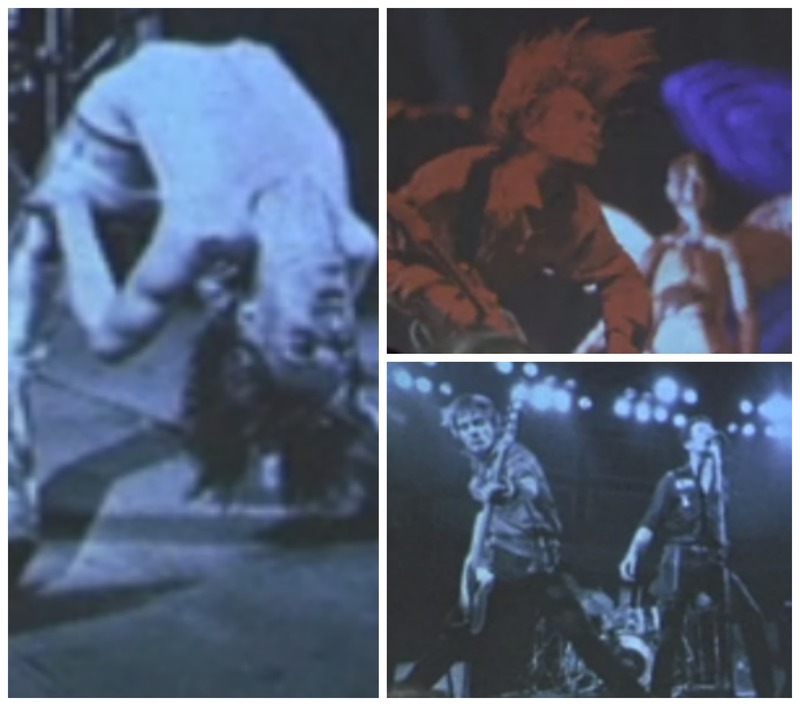 It contains a staggering amount of references to well-known rock bands through the decades. But it also contains a surprising amount of small nods to lesser known artists—the kind you would only catch if you already loved those bands. So I did my best to catalogue what we have going on in the movie. Most of the references have some pretty interesting explanations, and the stickers that show up throughout the film span now only the decades, but numerous genres as well. 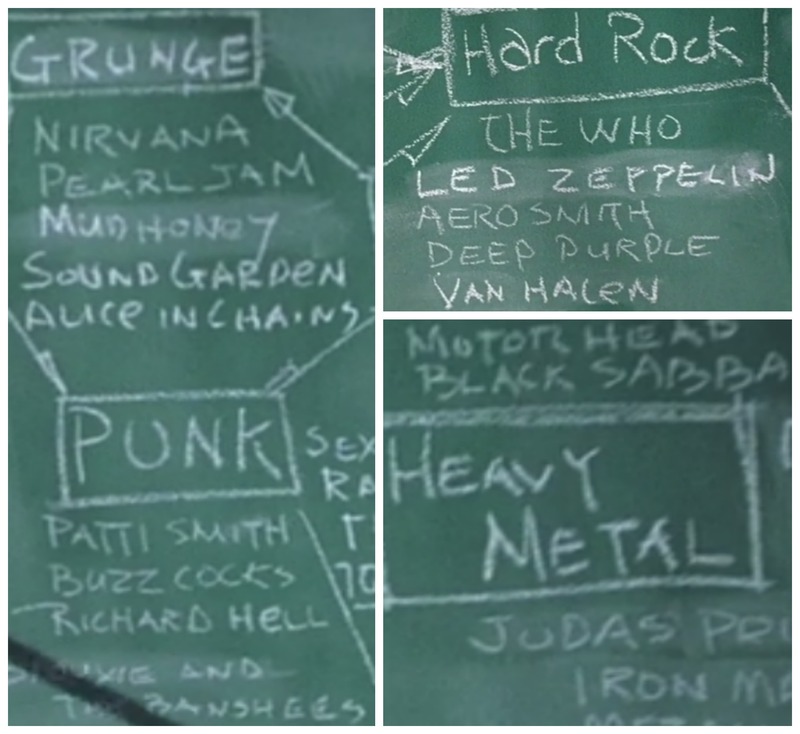 As it’s called the School of Rock, I only put time into doing my best to catalogue the rock artists and references, though during the “backboard scene,” labels like “R&B,” “Blues,” and “Hip-Hop” are clearly visible. I highly recommend checking out some (all) of these artists. I might be slightly obsessive, but I just like to think of myself as a music addict ;D I wanted to include as many pictures as I could, but since there are so many, I had to choose just a few. 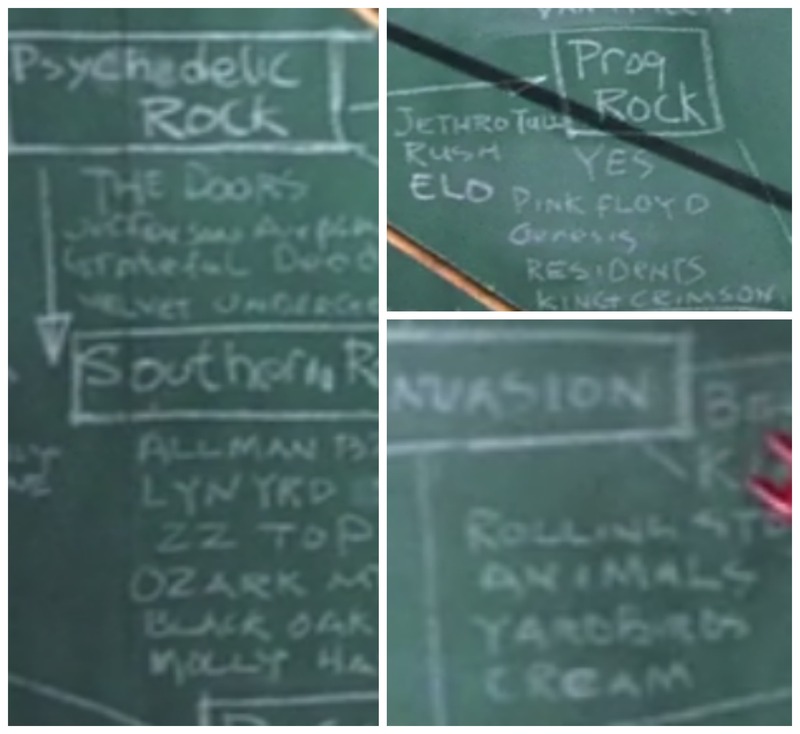 I left out album covers since those are easily recognizable, but grabbed a few screenshots of the awesome blackboard tree and a bunch of the stickers. Enjoy! 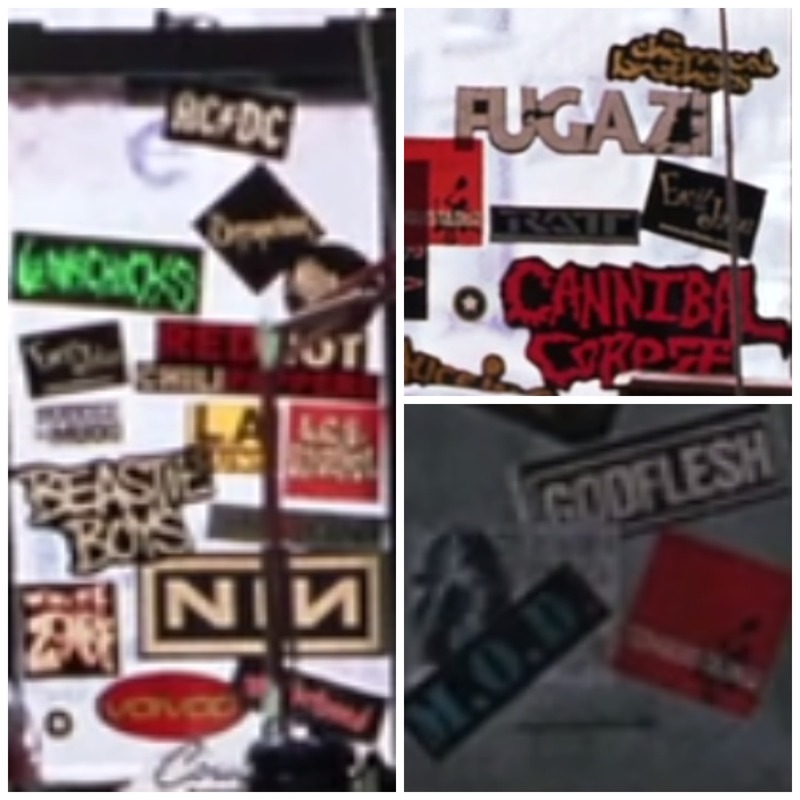 Stickers from Dewey’s room and public telephone; clockwise: (First panel) AC/DC, Lunachicks, Nine Inch Nails, Beastie Boys, White Zombie, Voivod, Red Hot Cili Peppers, L.A. 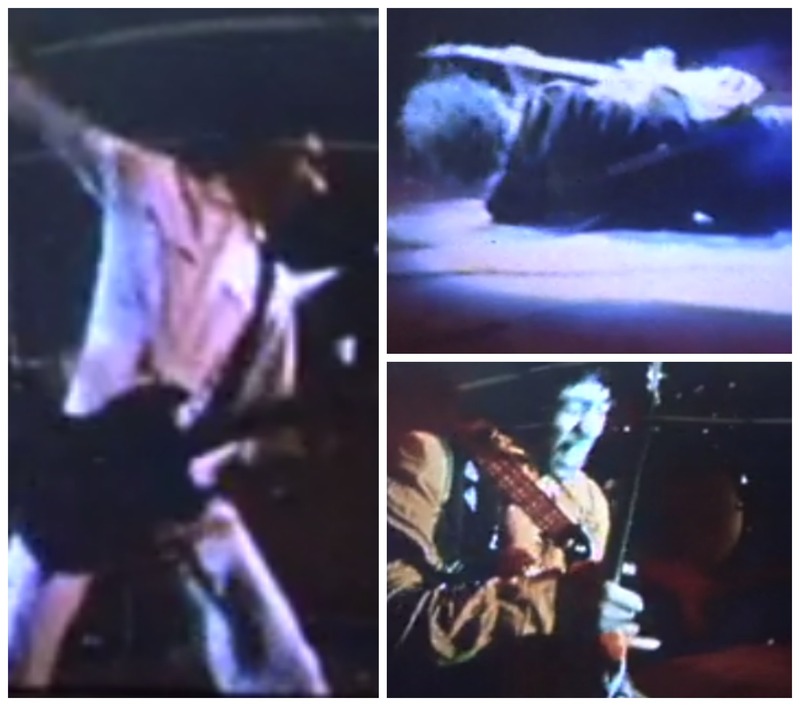 Guns; (Second panel) Ratt, Fugazi, Cannibal Corpse, The Chemical Brothers; (Third panel) Godflesh, M.O.D. This entry was posted in Art, Bands, Lists, Movies, Music and tagged Art, Bands, Lists, Movies, Music, Rock by adammarx13. Bookmark the permalink.